Cathodic Protection | Matcor, Inc.
A new pipeline has been announced that will dramatically expand the exportation capacity of oil and natural gas by pipeline to handle increased Bakken oil production out of North Dakota. Enterprise Products Partners LP proposed the new pipeline on June 24, 2014, which will be the first pipeline to move oil from North Dakota to a storage hub in Cushing, Oklahoma. 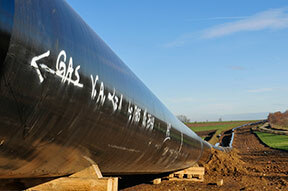 The pipeline will be 1,200 miles and have the capacity to transport 340,000 barrels per day. Enterprise is hoping to succeed where other companies have failed. Since 2012, five companies have proposed pipelines: Enterprise, Enbridge, ONEOK Partners LP, Koch Pipeline Co LP and Energy Transfer Partner. Of those, only pipelines from Enterprise and Enbridge are currently moving forward. Oil and natural gas production in North Dakota has steadily increased over the past few years, as the current infrastructure supporting this economic boon is struggling to keep up with demand. Currently, between 60-70 percent of the production out of North Dakota is being shipped by rail. This delivery method is less reliable than pipelines and recent train accidents highlight the dangers of shipping oil by rail. The pipeline proposed by Enterprise will have the capacity to ship half the crude currently being shipped by rail. Cathodic protection is a technique used to prevent the corrosion of metal surfaces. 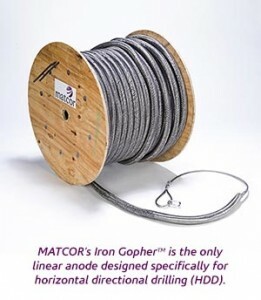 MATCOR uses a mixed metal oxide anode system that has become an industry standard in cathodic protection. “With Bakken Oil Pipeline, Enterprise Goes Where Others have Failed,” Reuters, June 24, 2014. After eight years of extensive oil exploration to define the Bakken formation boundaries, oil production companies are ramping up drilling operations to “harvest” the Bakken oil formation. There are currently more than 10,000 producing wells in North Dakota, with the majority in the Bakken region. The expansion of oil production has grown at an exponential rate and the area will soon be producing 1 million barrels a day. While there’s currently a well located on nearly all of 8,000 spacing units, there remains plenty of opportunity to increase well density in the region. In 2013, the permit applications were limited to four wells on a single 1,280 acre unit, but the maximum is expected to increase from eight to 20 wells per unit, depending on the local geology. As oil companies drilling in the Bakken formation continue to increase well density, the region could see another phase of this oil boom. “The Bakken area has enjoyed great success over the last decade, and with more opportunities for companies drilling in the Bakken oil field, it’s vital that they protect their assets,” said Glenn Shreffler, executive vice president, engineering at MATCOR. 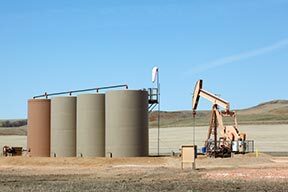 In business for almost 40 years, MATCOR specializes in providing customized corrosion engineering and cathodic protection systems to oil and gas industries nationwide. “Oil lands claimed, the focus shifts now to ‘harvesting it,” The Bismarck Tribune, February 25, 2014.